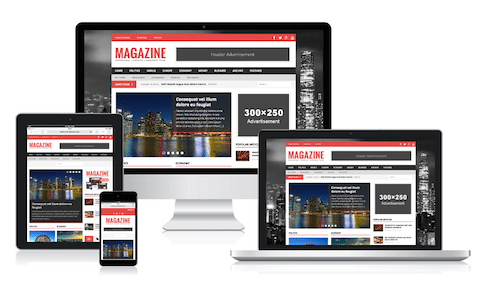 This is the free version of MH Magazine WordPress Theme with basic functionality. MH Magazine is ideal to create awesome online magazines within a few minutes. In case you need additional features, extended options and custom widgets, you can upgrade to the premium version and benefit from more flexibility and excellent theme support. MH Magazine is one of the most popular magazine themes for WordPress, running on thousands of websites around the world. MH Magazine lite is the free version of this flexible magazine theme which you can use to start your very own online magazine, dynamic news website or professional blog and publish awesome content. If you like MH Magazine lite and in case you want to take full advantage of the included features, layout options and custom widgets of MH Magazine, you can upgrade to the premium version of MH Magazine. With the premium theme you can create professional editorial websites as shown in the various theme demos for this magazine theme. MH Magazine lite has in total 13 widget locations where you can place standard WordPress widgets, custom widgets or ads. Includes basic versions of our popular widgets like MH Custom Posts, MH Posts Large, MH Slider or MH Tabbed widget. MH Magazine lite is translation ready and the theme also supports languages written in a Right-To-Left direction (RTL Support). WordPress 4.7+ ready, supports all modern browsers (IE9+, Firefox, Chrome, Safari, Opera) and works on WordPress Multisite. MH Magazine lite is distributed under the terms of the GNU GPL. You may customize the theme based on your personal requirements. If you like MH Magazine lite WordPress theme, you will LOVE the premium version. The premium version of MH Magazine WordPress theme is fully responsive and has included much more features, options and flexible custom widgets to configure your website. Launch your own modern online magazine, dynamic news website or professional blog within a few minutes and benefit from endless possibilities to customize your editorial website! How to configure MH Magazine lite? When you configure MH Magazine lite, you can use the same theme documentation as for MH Magazine. Basically the first thing you need to do is create and set your static front page, assign the widgetized Homepage template to your static front page and then you can place the widgets into the Home widget areas on your front page as you like. You can find full documentation about the location of the available widget areas in the theme documentation for MH Magazine. The documentation also covers additional information about the static front page, available options within the theme customizer, included custom widgets and there is a video tutorial included as well. Below you can find a comparison of the features and options between the free MH Magazine lite theme and the premium version of MH Magazine which includes additional features, options and custom widgets to create awesome online magazines or news websites. The premium version of MH Magazine is available for purchase. After you have purchased the premium version, you can download the theme and then easily upload, install and activate the premium theme through your WordPress dashboard so that you can configure a professional website in no time by following the instructions in the theme documentation. The premium version of MH Magazine also comes included with quick and helpful theme support.